Leading international oilfield service company Expro has secured $10M of new contracts to supply its cableless telemetry system (CaTS). 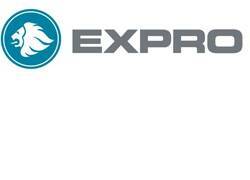 Expro’s CaTS advanced reservoir testing (ART) service will be utilised by two operators in Brazil to provide high value, accurate and reliable pressure and temperature data from four suspended deepwater subsea exploration / appraisal wells. In addition, the ART service will also be used by operators of two wells in the North Sea, with one well located west of Shetland with the other located in the Central North Sea. CaTS is a revolutionary development in the field of reservoir monitoring and control that can be retrofitted into existing wells. The system transmits data to surface in real time using the well’s casing or tubing as a conduit for the signal to transfer along. Advanced reservoir testing is a special application of the CaTS technology that enables abandoned or suspended exploration or appraisal wells, zones or pilot holes to be cost effectively converted into long term monitoring assets. By installing CaTS when abandoning or suspending a well it is possible to release the rig early, whilst continuing to gather high value pressure and temperature data for extended periods beyond abandonment. As CaTS communicates using an electromagnetic signal it is not influenced by cement plugs or bridge plugs, meaning that the well can be permanently abandoned using conventional abandonment equipment and procedures and the pressure integrity of the well abandonment is not compromised.